Imagine for education businesses, they have invested heavily to create interactive coursewares, learning videos, and educational games for their consumer markets, it is always paramount that they protect their copyrighted materials from being easily copied. Imagine for entertainment businesses, they have devoted lots of efforts, time and capital to develop the video, film, movie or music contents, for sure it would be their nightmare if someone just make it publicly and freely available without authorization. Imagine for IT companies, they spent nights and days to develop business software or games, yet they need to distribute it for consumer markets, they would always be looking for effective ways to protect illegal copying. For all the above valid reasons, we see how our society and businesses would require copy protection for intellectual properties (IP). 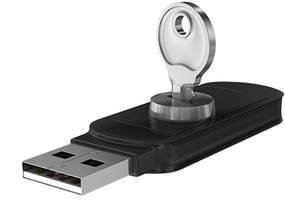 Using secure USB flash drives with copy protection imposed, it is possible to distribute your work to the public and markets, and yet get your IP well protected. Is it what you are currently looking for? Tell us what you need. We can help you achieve copy protection for your precious intellectual properties.